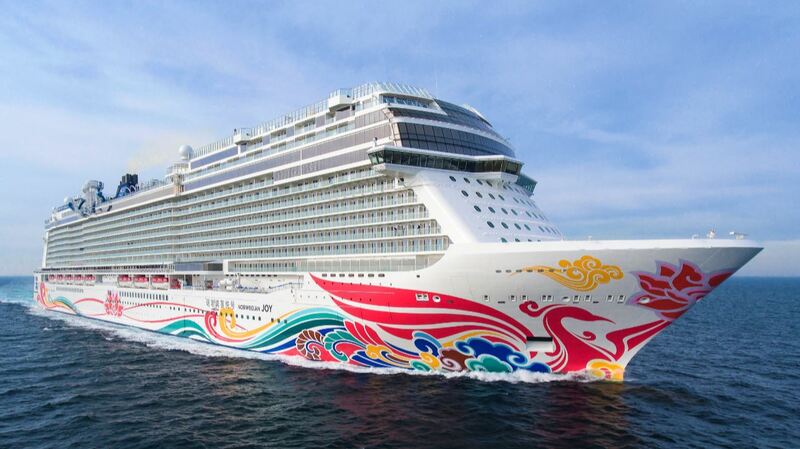 Norwegian Cruise Line has taken delivery of Norwegian Joy, the brand’s fifteenth ship and the first custom-designed for the Chinese cruise market. Norwegian Joy is the second ship in the line’s Breakaway-Plus class and features an innovative design with amenities tailored to provide a “First Class at Sea” experience for Chinese guests with the elements of freedom and flexibility that Norwegian Cruise Line has become known for across the globe. 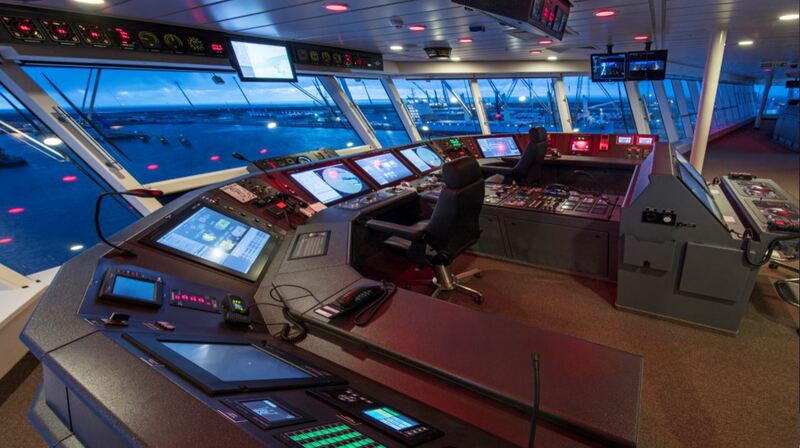 Earlier today during an on board ceremony in Bremerhaven (Germany), Norwegian Cruise Line has taken delivery of Norwegian Joy, the brand’s fifteenth cruise ship and their first custom-designed ship for the Chinese cruise market. In advance of the delivery, David Herrera and executives from Norwegian’s offices in China gathered for a traditional blessing from the Chinese Goddess of the Sea, Mazu, to ask for safe and pleasant voyages for the ship and all its guests. The ceremony was at the Mazu Temple in Shanghai where, one year ago, the Norwegian team held a ceremony to obtain a blessing for the coins that were used in Norwegian Joy’s Keel laying ceremony, signifying the start of construction in April 2016. Following this recent visit, a ceramic statue of Mazu was gifted to the company by the temple representatives and brought to Germany for the occasion of the ship delivery. The statue has been given a place of honor aboard Norwegian Joy and will carry the blessings of Mazu on the journey to China. Following her delivery, Norwegian Joy will begin her journey to China, where she will be showcased through a grand inaugural port tour featuring one-day events at the ports of Singapore, Qingdao, Shenzhen, and Hong Kong, as well as VIP partner cruises from Norwegian Joy’s home-ports of Shanghai and Beijing (Tianjin). The ship will be christened in an exclusive star-studded event for honored guests on June 27, led by her Godfather, the ‘King of Chinese Pop’, Wang Leehom. 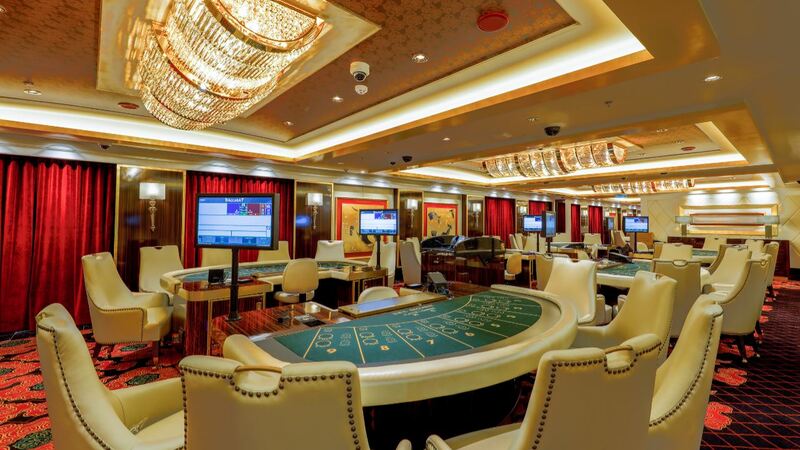 At 167,725–gross-tons and accommodating 3,883 guests, Norwegian Joy is designed to provide First Class at Sea experiences with onboard amenities that cater to the unique vacation desires of Chinese guests. 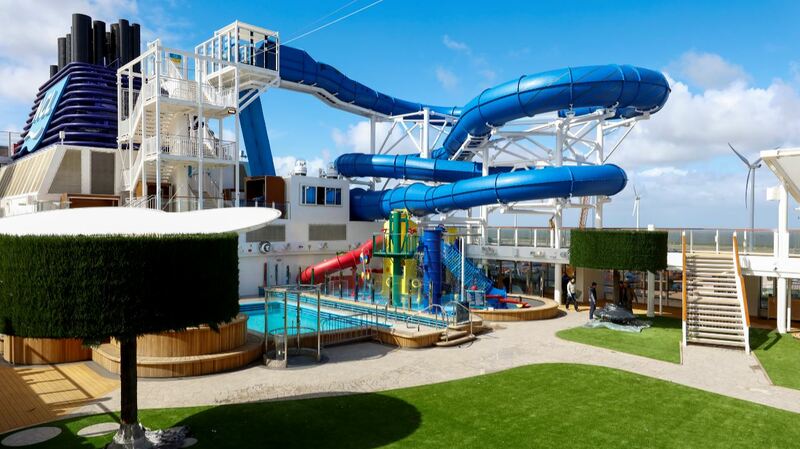 Norwegian Joy will provide a multitude of VIP accommodations including The Haven by Norwegian, the line’s exclusive, ship-within-a-ship luxury suite complex, which will also include an all-new The Haven Observation Lounge featuring 180 degree views, and a Concierge level, an all-new accommodations category that will provide a VIP experience featuring an exclusive Concierge Observation Lounge and larger balcony staterooms. 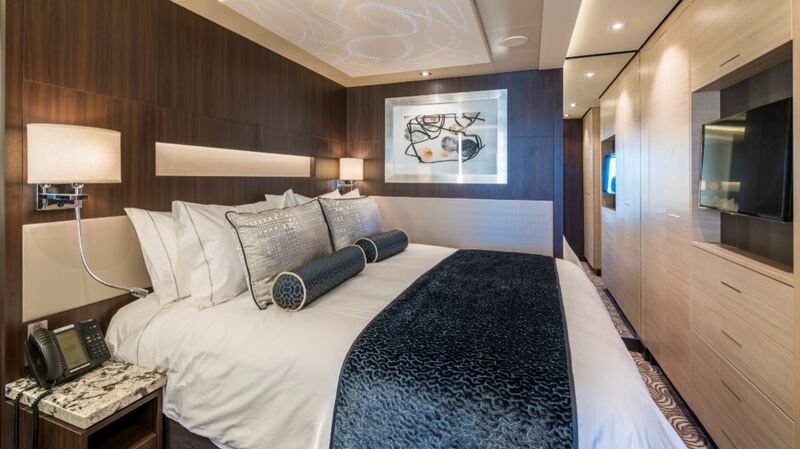 Accommodation offerings will also include staterooms designed specifically for families including a multitude of connecting staterooms, for extended families traveling together, as well as a wide array of mini-suite, balcony, ocean view and interior staterooms, many with virtual balconies. 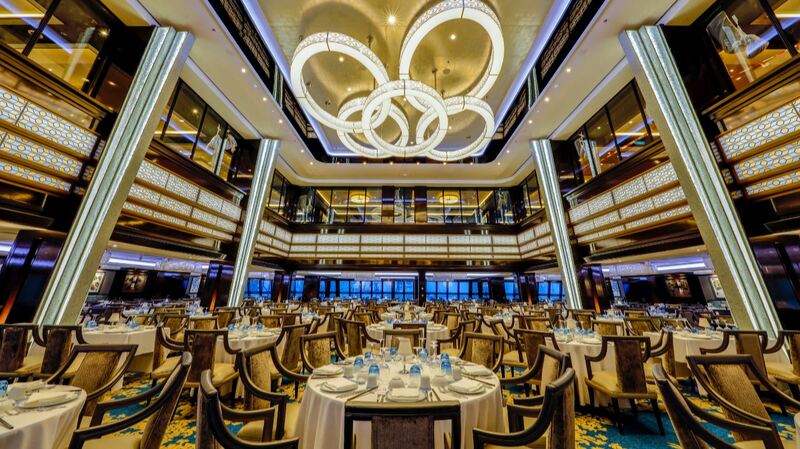 With no less than 28 different food and beverage outlets on board, Norwegian Joy promises to become a true foodlovers paradise. From Chinese hot pot, to sophisticated French haute cuisine, the freshest Japanese sushi to the highest quality American steaks and burgers. 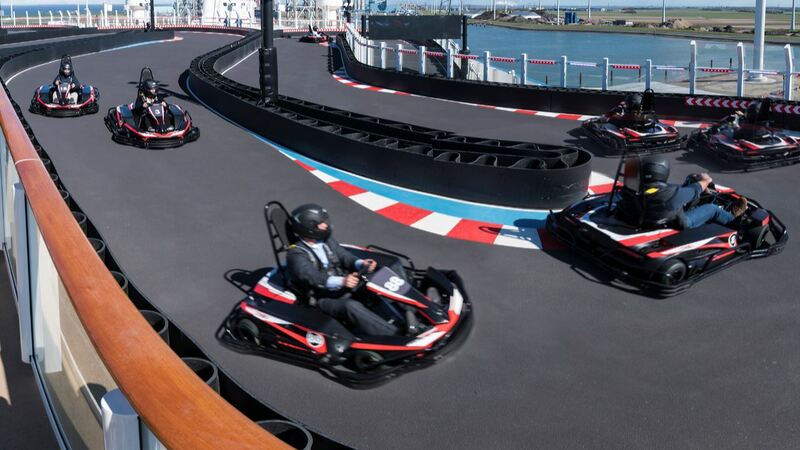 Norwegian Joy offers engaging and innovative activities including a first at sea two-level competitive racetrack, an open-air laser tag course, thrilling simulator rides, Oculus virtual reality technology and interactive video walls at the Galaxy Pavilion, and two multi-story waterslides. In addition, Norwegian Joy houses a tranquil open space park as well as the line’s largest upscale shopping district, complete with everything from exceptional duty-free shops to world-renowned global luxury brands. 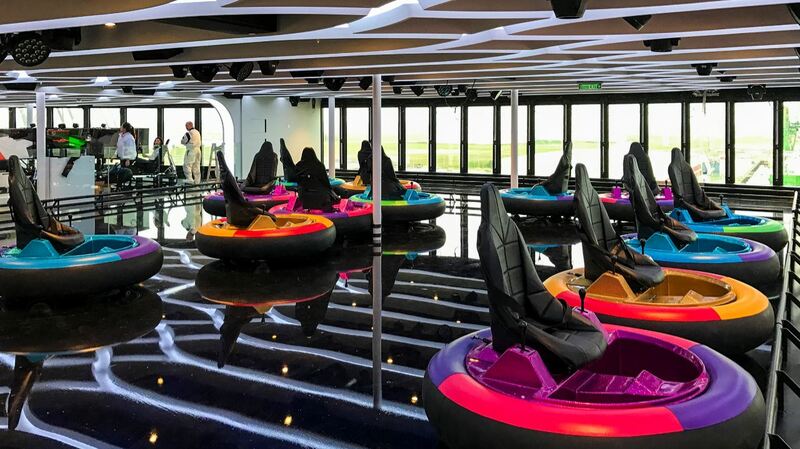 Pictures courtesy of Meyer Werft / Norwegian Cruise Line.